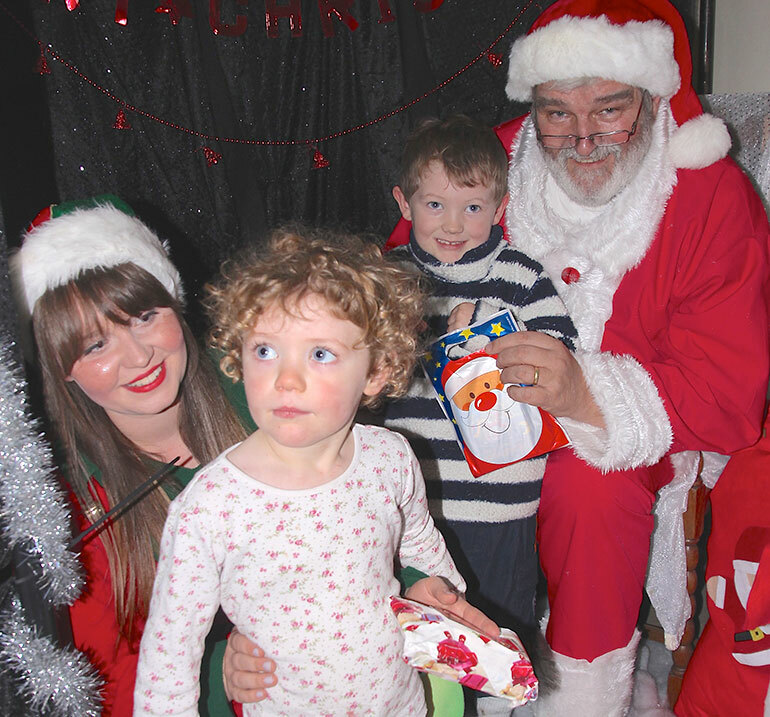 Santa is getting ready to make his annual visit to Ferndown to bring Christmas cheer to the town on Saturday, 26 November. He will be welcomed with a host of entertainment as well as Ferndown Rotary’s hog roast, candy floss, doughnuts, hook a duck and many other exciting stalls. The organisers of the event, Ferndown Chamber of Commerce will have their traditional mulled wine and mince pie stand and will also be selling raffle tickets for their famous Christmas hampers, crammed with festive treats, to raise funds for the next event. Plenty of children’s rides and games will feature in the town centre and 24 stalls will stretch down Penny’s Walk, more than ever before. Whilst browsing along this traffic-free shopping precinct, look out for face painting, donkeys or ponies from Oakridge Stables and smaller animals at Animal House Wildlife Rehab’s stall. 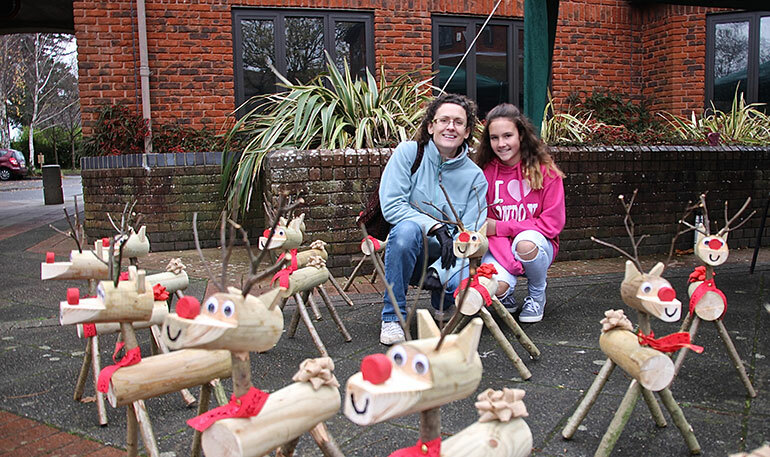 Parley Rotary Club are running a coconut shy and Santa’s fabulous wooden grotto will of course be among the stalls. It’s here that children can give Santa their wish lists and collect a small gift, (charge applicable). To help the event feel really magical, Ferndown Town Council has arranged for more Christmas lights. The ceiling of lights in Penny’s Walk has been extended, the tree lights have been replaced with LED lights and there will be snowflakes and stars in the large trees outside Penny’s Walk. There will also be additional lights in the trees on Victoria Road and the lampposts on Ringwood Road. Santa is sure to be happy when he sees what a huge effort everyone has gone to. Live music includes this year’s winner of LIVE:Ferndown, Amie Knight. See her perform at 3.15pm. 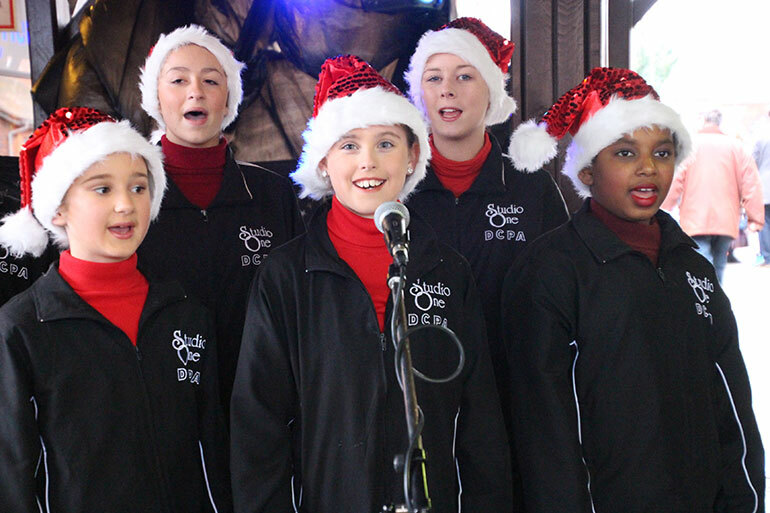 Christmas carols will be sung beautifully by the Studio One choir in Tesco store’s foyer at 3.30pm. The highly popular Gugge 2000 band will arrive at 4pm outside Tesco and march through Penny’s Walk to the clock tower where they will continue playing their lively brand of music until 5pm. Gugge 2000 will then help the Mayor of Ferndown switch the Christmas tree lights on. To round off the day’s event, the Chamber raffle will be drawn at 6.15pm in the Barrington Theatre. Come along and join in with Ferndown’s biggest ever Christmas event.